Charles A. Compton is a Member of the Coal, Energy, Construction, and Manufacturing industry groups. He has a broad corporate and transactional practice focusing on mergers and acquisitions, corporate finance and governance, and real estate transactions. He is the Managing Member of the Firm's office in Evansville, Indiana. Charles enjoys being a leader in the Firm. 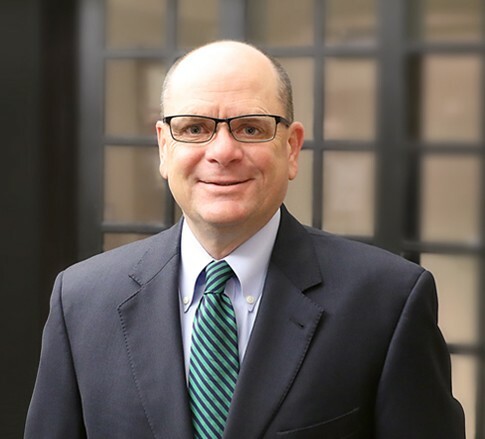 In addition to serving as the Managing Member of the Evansville office, he serves as Chair of the Business Law Practice Group and Chairman of the Firm’s Quality Standards Committee, and is a member of the Firm's Nominating Committee. For Charles, when he’s working with a client, he’s part of their team. He understands clients have objectives and seek results from both a legal and a business perspective, and he knows how to obtain them. He has over two decades of private practice experience as well as four years of experience as general counsel and member of the executive leadership team of a coal company. Charles has advised acquirers, target companies, and their owners in many acquisitions and dispositions across a range of industries, including coal, oil and gas, construction, dredging, transportation, manufacturing, wholesale supply, and retail sales. He has advised clients in connection with transactions ranging in enterprise dollar values from the low millions to in excess of one-half billion. His business law experience includes advising clients on a range of corporate governance issues and representing borrowers and lenders in traditional financing transactions, as well as representing clients in mezzanine debt and preferred capital transactions. Away from the office Charles is an avid golfer and all-around sports fan (GO HOOSIERS!). He also plays the piano and enjoys attending theatre performances with his family.